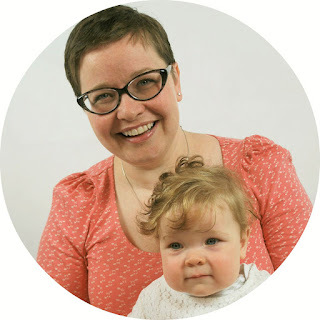 Hi lovelies, it's time to get going with our Nappy bag sew along! Today we'll start with our fabrics and stabilisers, getting all prepared and cut out ready to sew. If you're going to be pattern matching your outer pieces then I'd recommend you don't cut your outer A - Body main, Outer B - Front & back pockets and Outer C - Front flap just yet. 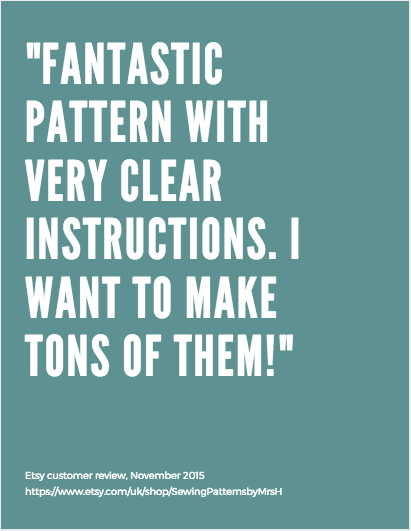 We'll have an excellent post next week on how to pattern match, you'll want to read that before cutting those pieces. Before we start cutting we need to decide on our stabilisers. These are what will hold your bag's shape. You might choose a foam stabiliser (check out my comparison), or a fleece stabiliser. This will depend on your outer fabric. If you're using a thicker, home décor fabric, then you won't need as much stability as if you're using a quilting cotton. If you're using a quilting cotton I'd recommend each outer layer having a layer of medium weight interfacing and then a layer of foam stabiliser. For thicker home décor fabrics, you may wish to just go with a layer of medium weight interfacing and some fusible fleece. I'd recommend you do a test swatch of your chosen outer fabric to decide which stabiliser you prefer before you begin cutting out. First you will need to print your pattern pieces. 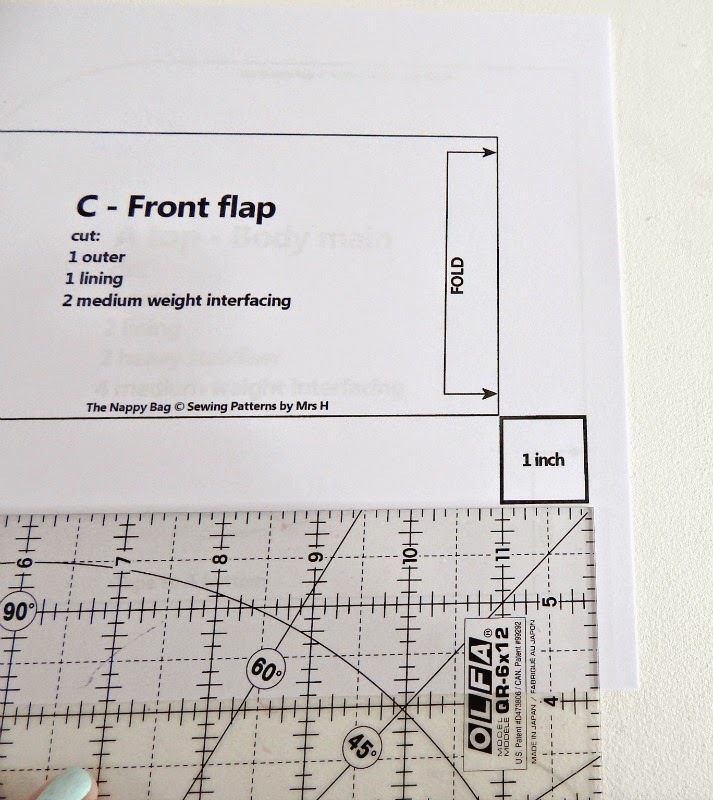 You should print piece C - Front flap first and check that the test box is 1" square. A few mm out shouldn't make a difference. 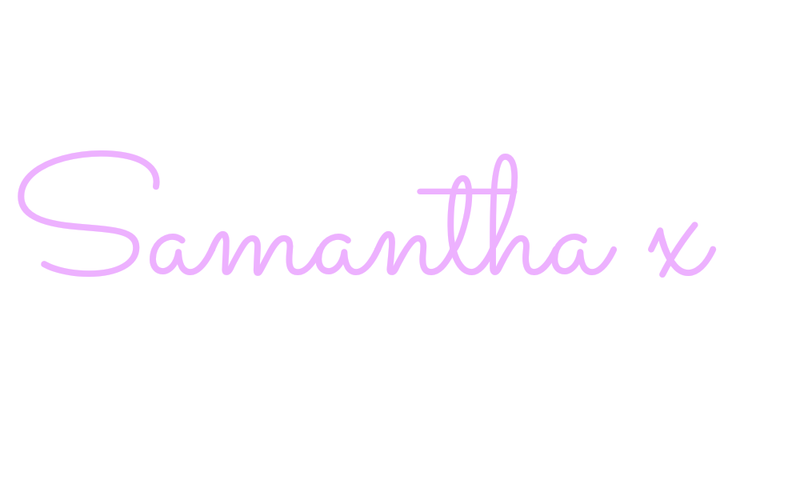 You can find more info on how to ensure you're printing your PDF patterns correctly here on Emmaline bags. Where one pattern piece is split into two, I like to cut all around one piece, then tape it to the second before cutting. If the edges don't quite join up, don't worry, I've already deducted chocolate buttons from the pay of my tech guy! Just try to straighten it up as you cut. Pieces A, B, C, J and L are provided as pattern pieces to print. Pieces D, E, F, G, H, I and K are provided as rectangular dimensions which you should cut with your rotary cutter and mat. This is common now to reduce paper wastage and on ink costs. 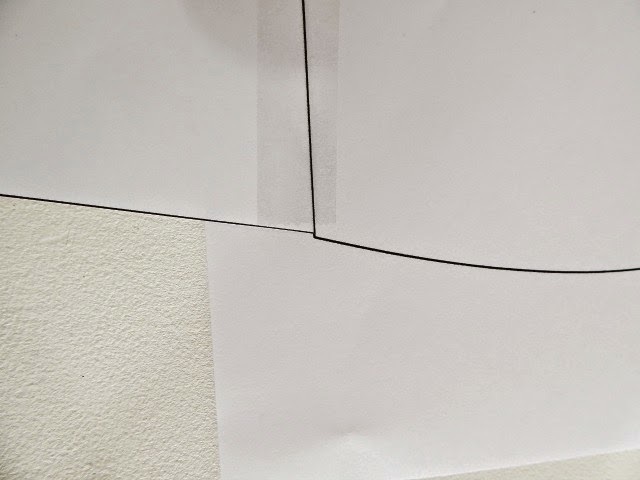 If you still prefer paper pieces, you could always draw these out on paper before cutting. Now it's time to cut. I like to call this the lazy (but frugal) method of cutting your pieces. 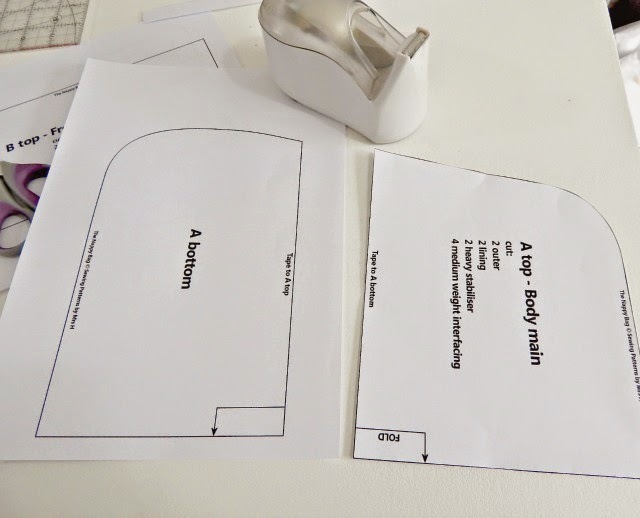 Begin with cutting all of the medium weight interfacing pieces and marking which piece they are in pencil, or fabric marker. Next, lay your lining fabric out across your ironing board and starting with the biggest pieces, fuse the medium weight pieces which correspond to lining pieces onto the wrong side. 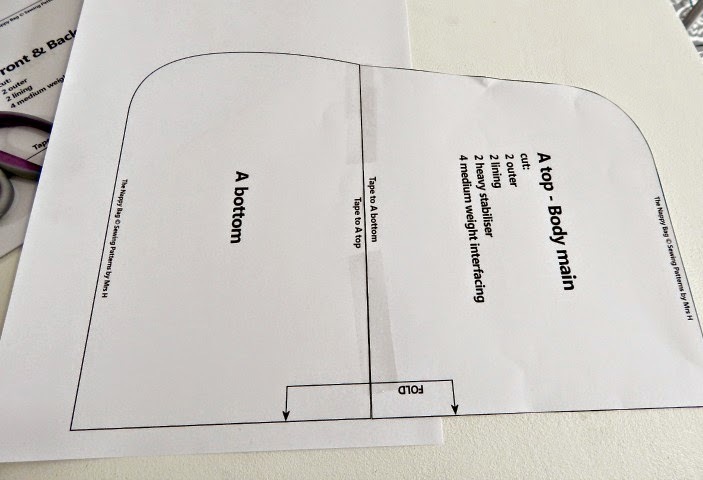 So you will fuse 2 x A - Body Main lining, 2 x B - Front & back pocket linings, 1 x C - Front flap lining, 2 x D - Zip gusset linings, 1 x E - Base gusset linings, 2 x I - Zipped pockets, and 2 x J - Lining slip pockets. 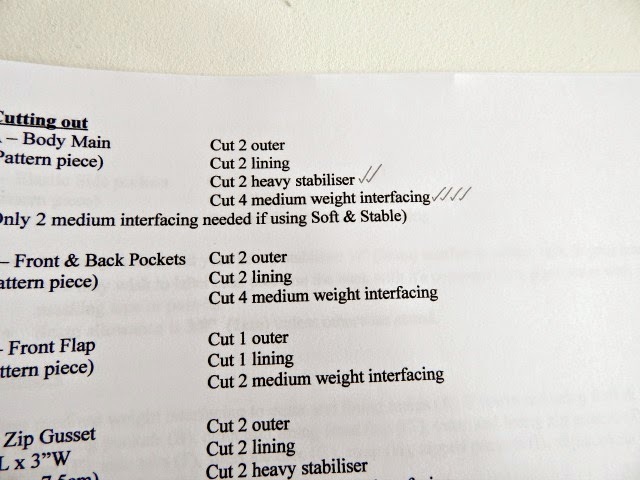 You can cut these out directly from the lining and tick them off on your cutting out list in pencil. I do this in pencil so that the pattern can be re-used. I do one tick for each piece cut and ready. You will also need to cut 2 x K pieces for the elastic side holders, these do not have any interfacing. You can prepare the contrast outer pieces in the same way as for the lining. 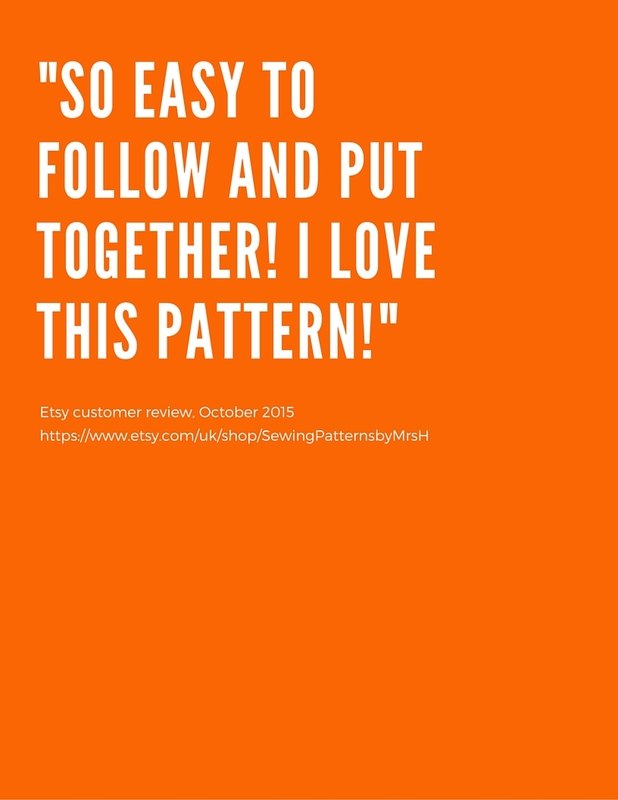 For any outer pieces which you are not planning to pattern match, you can use the same method, cutting out your medium weight interfacing and using that to choose which part of your outer fabric you use easily. I like to move it around on the back of my fabric until I'm happy with the placement, then fuse it on and cut out. 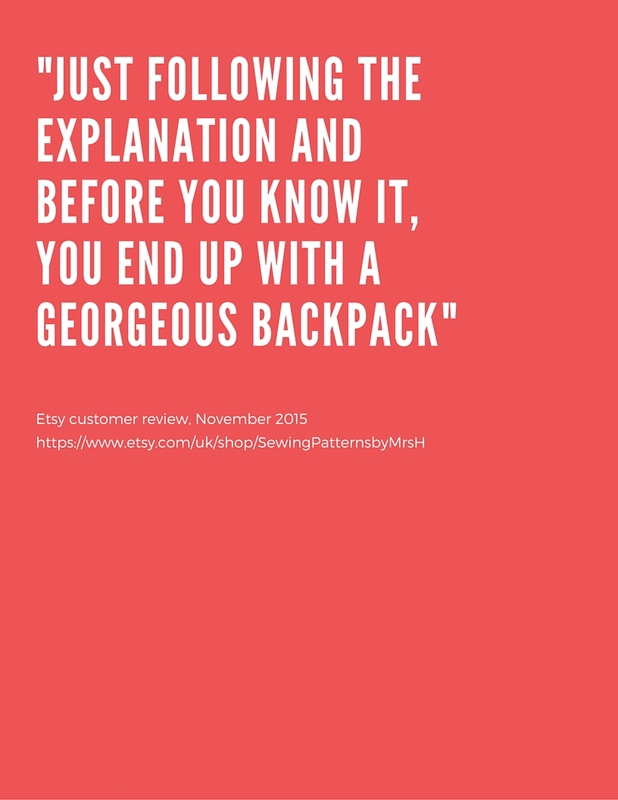 You can do this for pattern pieces D - zip gusset, E - Base gusset and L - elastic side pockets. 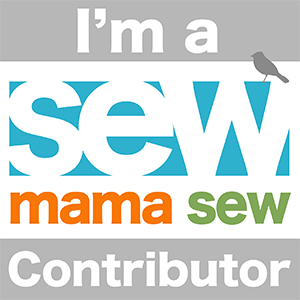 I'm looking forwards to seeing all of your fabric choices, let's all share a photo in the facebook group of our fabric selection to give us something to drool over!